wow very cool scan! i love those two! good job! The Kyubi in the background is mad sick. This is probably the best calender pic, thanks for posting. very good scan! It's really high resolution and the concept is good! Thanks! ahhh so sugoii! i want to buy the calendar too but not sure which one is the best since naruto has like 4 different type for 2009! a very good scan, no doubt about it. thank you for making it avaiable to us. 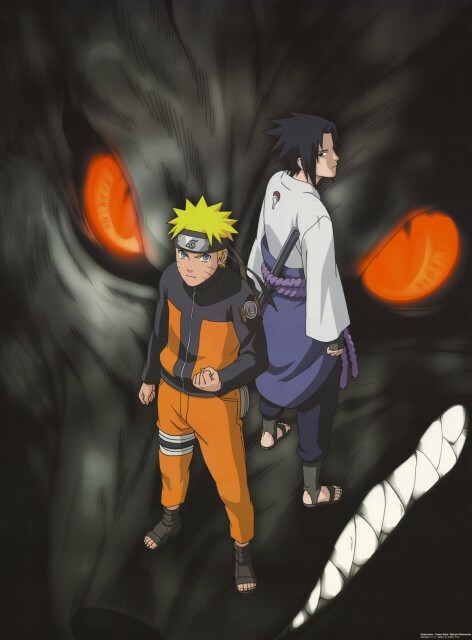 wow kyuubi's in the background is cool! and Sasuke's too handsome! good scan! its wonderful how two people can be arch enemies, yet best friends. Oooh... the Kyuubi... so creepy.